Losing a tooth can be alarming, but there are options available to restore your smile. 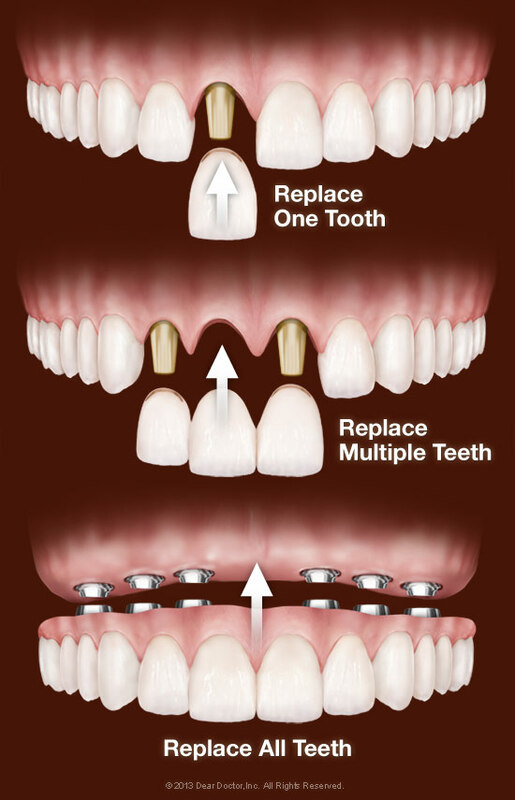 Dental implants are one of the most effective and versatile solutions for replacing missing teeth. In the hands of a compassionate, skillful dentist, receiving implants can be an incredibly rewarding process. If you are missing one or more teeth, we encourage you to schedule an appointment with Dr. Cohenour, who can assess the condition of your jaw and determine whether implants are a viable option. Offering implant placement and restoration in Oklahoma City, SmileArts Dental Studio is committed to improving our community’s oral health as a whole. Dr. Cohenour will perform a dental exam to identify any underlying problems that could impact the effectiveness of your implant surgery. One of the most important factors he will consider is the density and health of your jawbone, which must have the size and strength to properly support implants. In many cases, the jawbone begins to wear away in the absence of teeth, which may require our dentist to provide additional care so that your implants can last for years to come. Dr. Cohenour performs bone grafting, sinus lifts, and ridge augmentation procedures that help build and construct your jaw. Afterward, you can move forward with receiving your implants. The field of implant dentistry has expanded significantly. It’s now possible for patients to receive not only a single titanium post and porcelain crown to replace a missing tooth, but also fixed dentures for several missing teeth, up to an entire dental arch. Dr. Cohenour offers dentures on as few as four strategically placed implants and hybrid dentures for those who need to replace multiple teeth. He also recommends sedation options to make your procedure as seamless and comfortable as possible. As there are so many implant options available, it can quickly become overwhelming to decide on which procedure will work best for you. Dr. Cohenour works alongside patients and educates them about the parameters of each treatment. Together, you can discuss your goals and choose the right solution for your individual needs. Dental implants are beneficial in their ability to function like natural teeth. You can brush and floss as you normally would and don’t have to worry about removing them at night or to eat and drink. With their ability to mimic the size, shape, color, and structure of natural teeth, they will blend easily with the remainder of your smile. Learn More About Your Dental Replacement Options – Call Our Practice Today! AT SMILEARTS DENTAL, WE COMPLETE MULTIPLE HUNDREDS OF IMPLANTS PER YEAR AND OUR FAILURE RATE IS LESS THAN 3%! If you would like more information about how SmileArts Dental Studio provides dental implants in Oklahoma City, or to find out whether implants are right for you, contact our practice and schedule a consultation.